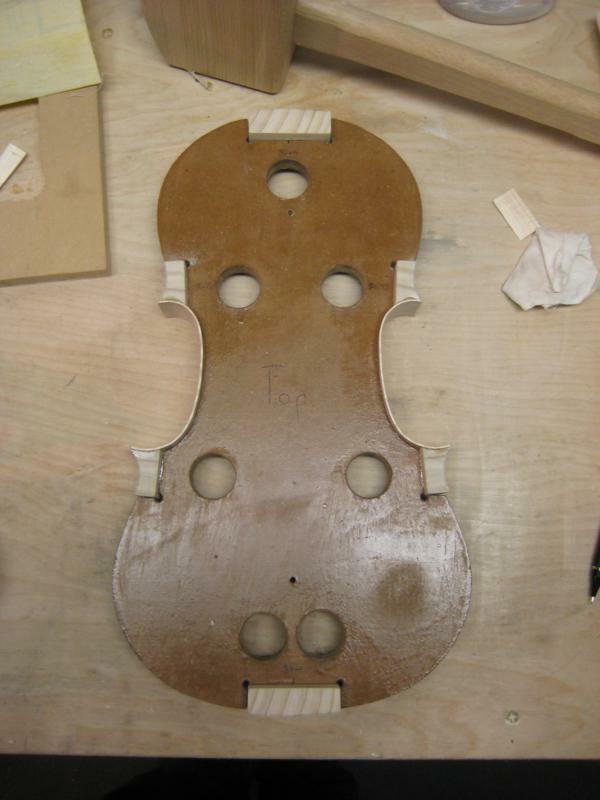 Now that the middle ribs are glued I can shape the remaining portions of the four middle blocks. To do this if first trimmed them with a chisel and then took them back to the drum sander. The top and bottom blocks also need to be cleaned up. To get in close to the line I use two different grits of sandpaper glued to the front and back of a wood block. 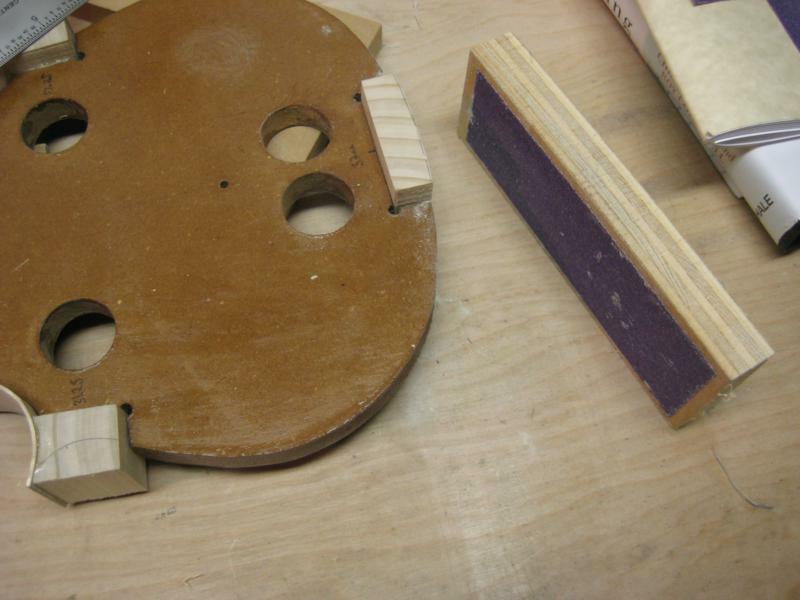 The sanding block ensures the blocks remain perpendicular to the table. For adhesive I used 3M spray adhesive that I had purchased for another project but it has come to be very useful. Here’s an overall shot with all the blocks shaped.